ACRLI has published a new legal assessment report “Women’s Participation in Public Life” which tackles the question of women’s participation in public life from a legal perspective and examines the constraints imposed on them and the diminutive effects those constraints have on women’s participation. It also incorporates the recommendations, opinions, views and arguments put forth by those civil society organizations who participated in the focus groups and workshops. Within the Framework of “Promoting the Constitutional Council Role in Building the State of Right” project, ACRLI has launched the report on “Role of the Constitutional Council Role in Building the State of Right”. 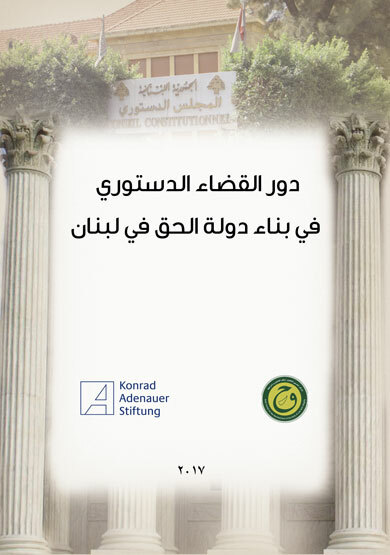 The report includes conclusions and recommendations on the importance of the role of the Constitutional Council in Lebanon, especially with regard to its authority to interpret the constitution and to expand the right to review the constitutionality of laws. 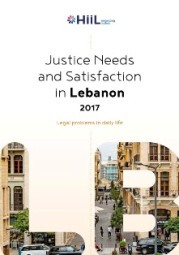 The latest Justice Needs and Satisfaction report from HiiL, The Hague Institute for Innovation of Law, has compiled key, crucial data on the justice needs in Lebanon. HiiL has gone directly to the people of Lebanon and listened to their justice stories. By knocking on the doors of 6000 members of Lebanese society and asking a series of questions on how their lives are affected by all aspects of justice, important data has been collected. 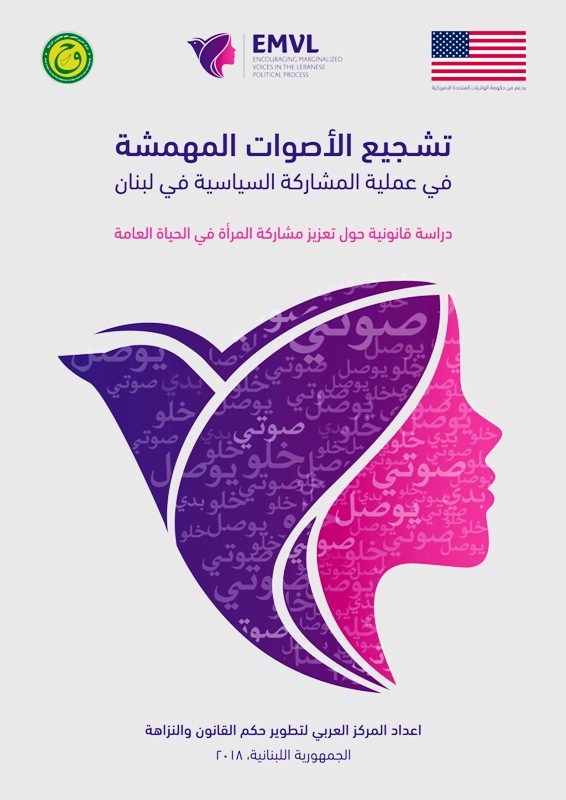 This study examines Iraqi legislation on Women and their compatibility with international conventions, and mainly the Convention on the Elimination of all Forms of Discrimination Against Women (CEDAW) including the Iraqi reservations on CEDAW, as well as an inventory on Iraqi legislations including criminal, civil, personnel and constitutional laws. The study concluded with a set of recommendations and suggestions to modernize the Iraqi laws relating to women’s rights. 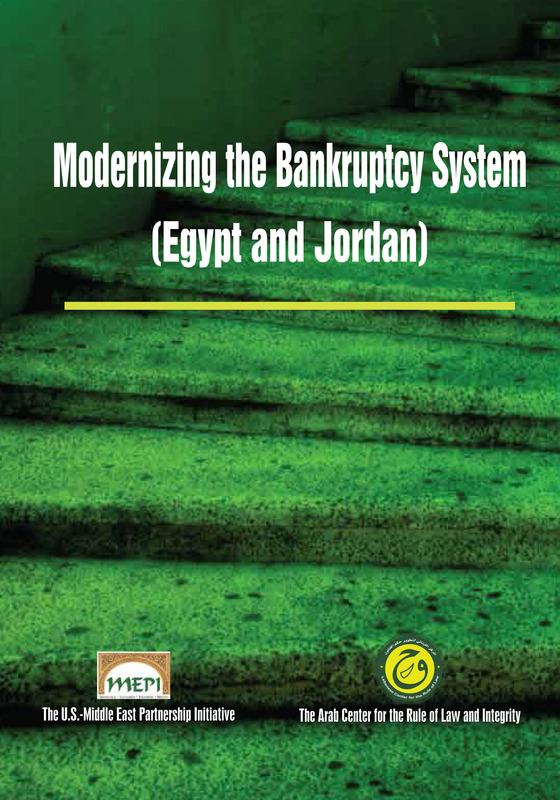 The following book comprises the result of effort and research conducted by ACRLI’s team within its project on “MENA Commercial Law Strengthening” over the past two full years. 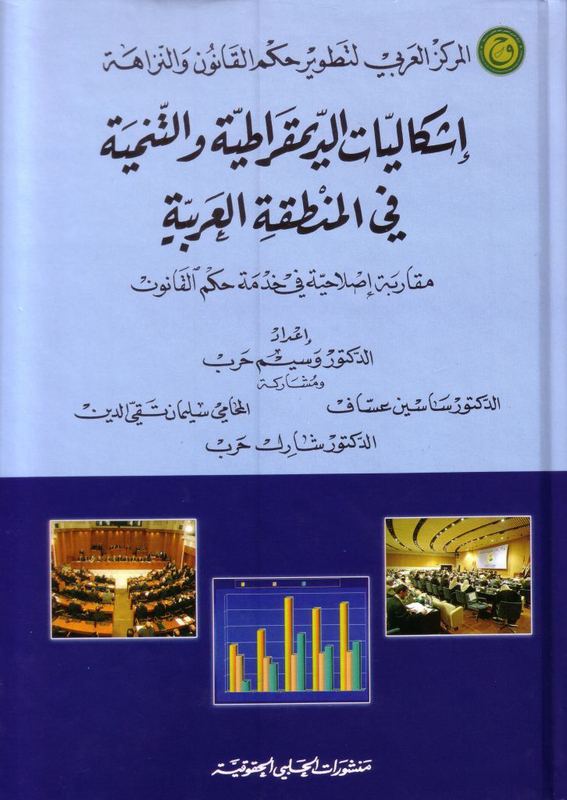 This book includes the studies and surveys carried out by ACRLI’s team in cooperation with local partners and experts in the project’s countries (Lebanon, Tunisia, UAE and Yemen), with the support of a group of international advisors who were jointly responsible for the project’s deliverables in compliance with best practices and international standards. 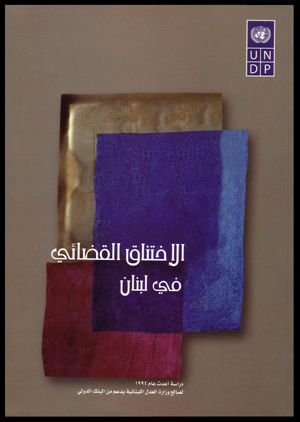 The book tackles the State-building issue in Lebanon which holds an important place within the political debate between the Lebanese ever since the Taif Agreement reformed the government and shaped the modern Lebanese state in the light of available and possible data. 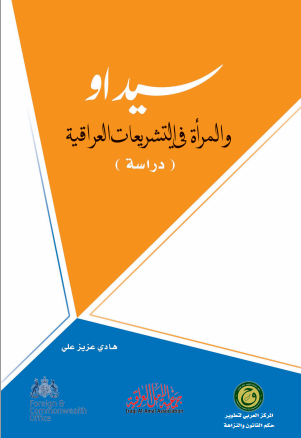 This book reflects the aspiration of Lebanon’s influential persons regarding the theoretical foundation of the future Lebanese state based on multiple perspectives that intersect at achievable points. 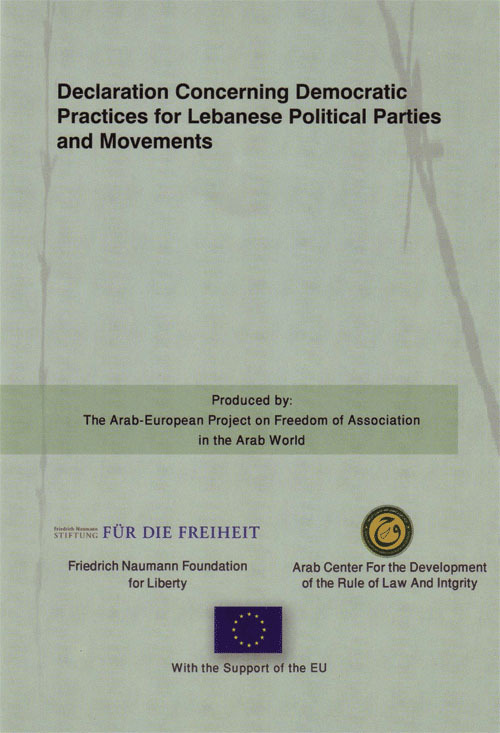 It also provides the theoretical and methodological framework for the State-building process in Lebanon laying down wide options to the Lebanese, where the task of the involved persons, whether leaders or civil society forces, will be to select an option both in theory and in practice. 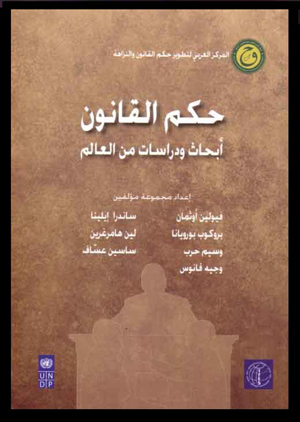 The University of Notre Dame and the Arab Center for the Rule of Law and Integrity, thank all who contributed to the achievement of this book and are determined to renew cooperation with other academic and research institutions involved in the future of the Lebanese, especially the young generation, on the basis of the culture of dialogue that they had inherited, that is multilateral, open and rational and paves the way for the rapid building of their modern state. The aim of the Code of conduct is to govern the roles of CSOs that are expected to grow and develop in the future, participate in achieving sustainable development, contribute to the democratic transformation as well as promote the culture of human civil, economic, social, political and culture rights. The Code is based on the principle of freedom to establish associations upon the free will of founders, independent from any kind of control by government institutions, with the purpose of serving the interests of the public in a manner that strengthens and enhances the role of civil society in achieving stability and progress in the democratic, social and economic field. For the full copy please click here (English, French). This paper contains a set of behavior rules that are supposed to guarantee the exercise of a free democratic and effective practice of the workers Trade Unions. The paper addresses the Arab employees, laborers as well as members or non members of Trade Unions. It encourages them to read into the Arab Trade Union State on the basis of specific rules of conduct, and work on the development of the Arab Trade Union movement towards more freedom, democracy, and effectiveness. Arab countries are facing the challenge of democratization, which has led Arab political parties and movements to deeply re-evaluate their political experience in light of the exigencies of democratization. In their pursuit of freedom and democracy, political parties and movements that participated in and contributed to preparing this declaration assert that freedom to create political parties and practice political action is the foundation and guarantee of democracy. This declaration is meant to be an ethical confirmation of the principles regulating political practice in the Arab World, based on commitment to pluralism, the rule of law, and respect for human rights. Within the framework of “Strengthening the Rule of Law” and “Modernizing Public Prosecution Offices” initiatives in some of Arab countries, UNDP-POGAR assigned the Arab Center for the Development of the Rule of Law and Integrity (ACRLI) to write studies to determine whether the existing criminal laws which are in force in the pilot Arab countries (Jordan, Lebanon, Egypt, Morocco, Yemen) meet the needs of these countries as well as to indicate their need to change or update their penal legislations to match with modern and international regulations and standards for the benefit of Public Prosecution Offices. This study is a reform approach in the service of the rule of law. The subject of this study falls within ACRLI’s tasks in terms of spreading awareness on the rule of law and building knowledge and the need for democracy, development and reform in the Arab States. 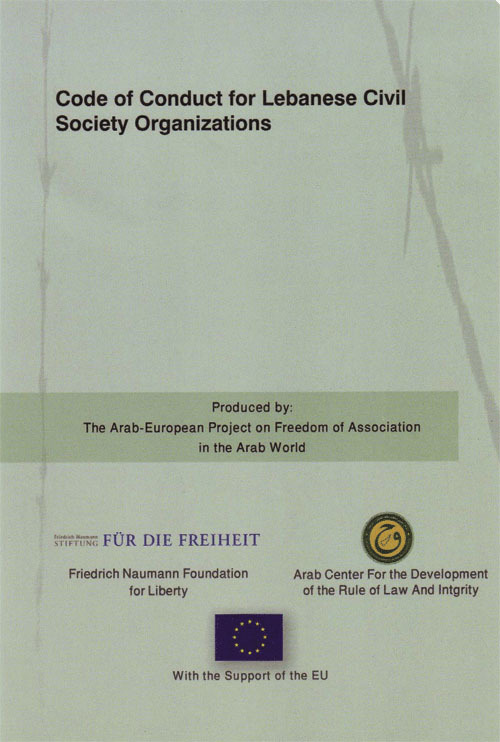 This book is the result of efforts exerted in the framework of a project endorsed by the European Union for the right of Freedom of Association in the Arab Countries, which is implemented by the Friedrich Naumann Foundation and the Office of Civil Society (League of Arab States), in a regional partnership with the Arab Center for the Development of the Rule of Law and Integrity and national partnership with: the Egyptian Organization for Human Rights in Egypt, the National Center for Human Rights in Jordan, and the Coalition for Integrity and Accountability (Aman) in Palestine. This book is a legislation guide for issues related to the organizations, parties and trade unions. 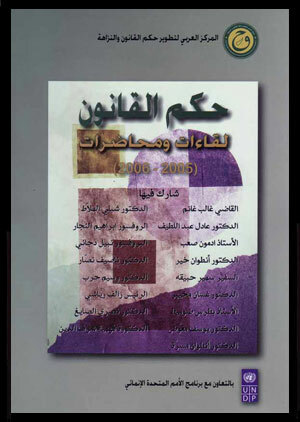 This publication comes as a result of a presentation held by Dr Ghaled Ghanem, the president of the Lebanese council of state, entitled “An introduction to the Rule of Law", at the La Sagesse university in Beirut on November 15 2005. This lecture was translated to English and French in agreement between ACRLI and UNDP-POGAR. 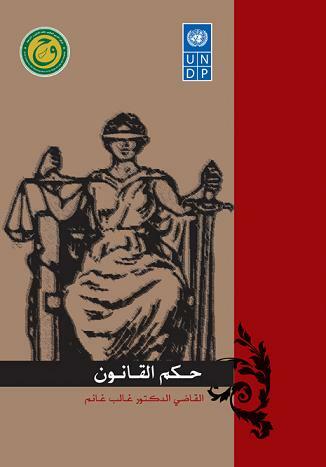 This book constitutes the core of the judiciary pillar in the project of “Promoting the Rule of Law and Integrity in the Arab countries”. This project was implemented by the Arab Center for the Development of the Rule of Law and Integrity-ACRLI in cooperation with the International Foundation for Election Systems- IFES and the United Nations Development Programme - Programme on Governance In the Arab World (UNDP-POGAR). 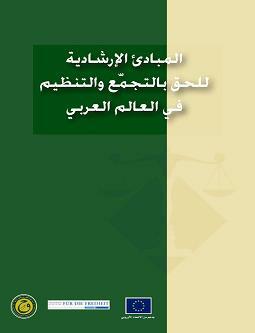 This book constitutes the core of the Parliament pillar in the project of “Promoting the Rule of Law and Integrity in the Arab countries”. This project was implemented by the Arab Center for the Development of the Rule of Law and Integrity-ACRLI in cooperation with the International Foundation for Election Systems- IFES and the United Nations Development Programme - Programme on Governance In the Arab World (UNDP-POGAR). 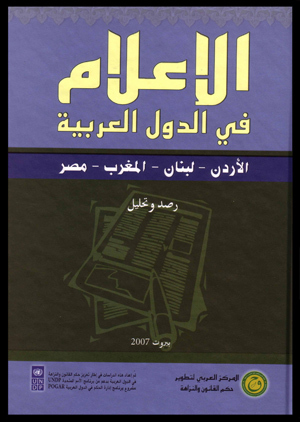 This book constitutes the core of the Media pillar in the project of “Promoting the Rule of Law and Integrity in the Arab countries”. This project was implemented by the Arab Center for the Development of the Rule of Law and Integrity-ACRLI in cooperation with the International Foundation for Election Systems- IFES and the United Nations Development Programme - Programme on Governance In the Arab World (UNDP-POGAR). This study provides an introduction to an important factor for achieving the enabling environment of the internet sector which is drafting cyberspace laws and adopting directives in the legislative, organizational and management domains. Acknowledging the need for regional integration in cyberspace legislation is of great importance to facilitating electronic interactions between ESCWA member countries or at the Arab Regional level. This study contains a review of applicable cyber legislation at the international, regional and national levels. Moreover, it provides a foundation for the specific steps that can be taken by member countries with recommendations, policy advice to enable member countries to assess their legal structures in those areas, and conclusions. The annexes of this study provide a quick reference for determining the status of cyber legislation in the region. This report complements the first Study: “Templates of Cyber legislations in the ESCWA countries”, and comprises an electronic study, which presents a review of the status of the Cyber legislations on the regional and international levels. The study gives examples about the legislative basics and points out the interests and expected challenges to set out more extensive cyber legislations. The study focuses on the following topics: (A) Data protection and privacy rights; (B) Protection of privacy and communications in the field of telecommunications; (C) Freedom of speech and censure on the Internet; (D) Intellectual Property; (E) E-Commerce and E-transactions and related fields; (F) Consumer Protection; (G) Cyber Crimes. 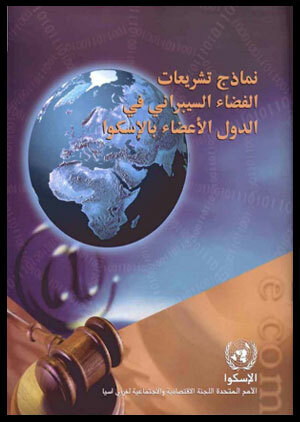 The report also comprises a study (paper and electronic-HTML) about the status of Cyber legislations in Bahrain and Syria in the above mentioned fields, in order to provide a clear perception about the endeavors made to apply and execute Cyber legislations and the extent of the impact of said legislations on the Economical and legal environments in the subject countries. This report has been drafted by experts Roula Zayat and Jean Akl under the supervision of Dr. Wassim Harb for the Economical and Social Committee for Western Asia – ESCWA. The Sixth Lecture: “Judiciary Reform and Development"
The second study: Constitutional Courts, the independence of the judicial body, and the rule of law (international lessons learned). The fourth study: Transparency and the Judiciary. 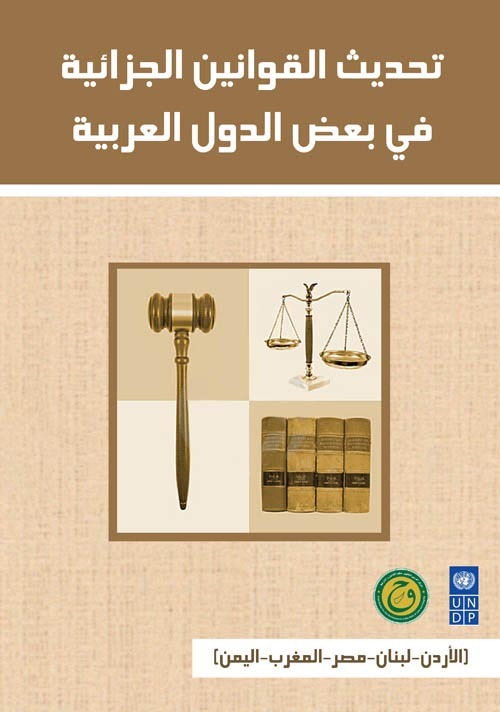 This study that was undertaken in 2004 examines the work tools and procedures of lawyers in the Arab countries in addition to their relationship to the Justice system and the recommendations towards the development of the practice. Publishing this study puts in perspective the potentials and possibilities that may be open in front of the lawyers' syndicates in the Arab countries if they take the initiative to perform similar national studies that follow the same methodology in order to compile a comprehensive file describing the current situation of Arab lawyers and contributes in drawing the strategies and tactical plans that are required to modernize and develop the practice. 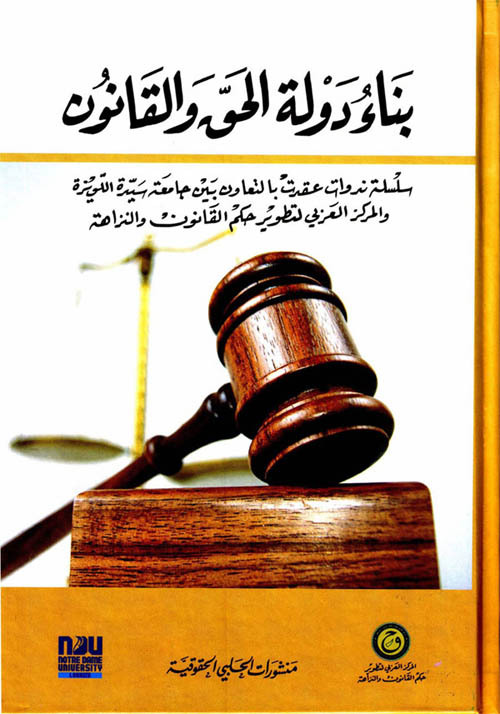 The National and Regional reports on the state of judiciary in the Arab countries. 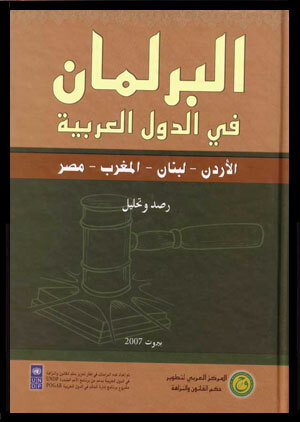 These report papers describe and analyze the judicial systems in the following Arab countries: Republic of Yemen, Emirate of Dubai, the Kingdom of Bahrain, the State of Kuwait, the Republic of Lebanon, the Arab Republic of Egypt, the Republic of Tunis, the Democratic People’s Republic of Algiers, and the Kingdom of Morocco. 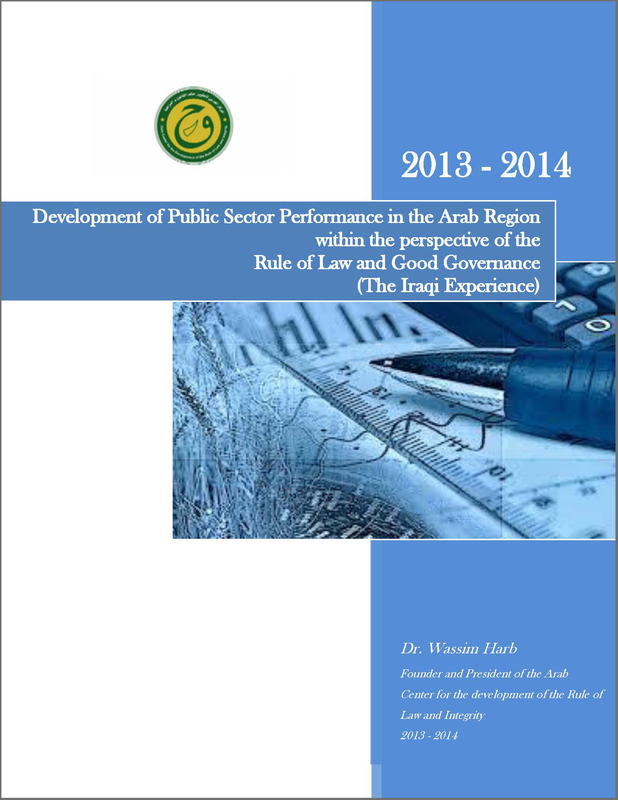 The reports were prepared by the Arab Center for the Development of the Rule of Law and Integrity (ACRLI) within the framework of the initiative of Good Governance for development in the Arab region, and with the support of the United Nations Development Program - Program on Governance in the Arab World (UNDP-POGAR). This study was prepared in 1999 for the ministry of justice with the support of the national bank. 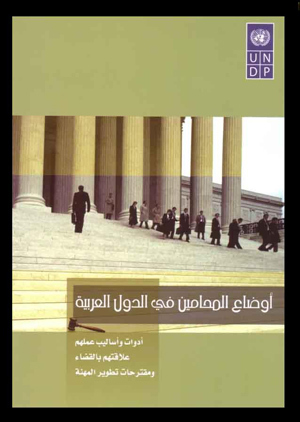 It contains the methodology to collect and analyze the data regarding the workflow and productivity of the Lebanese courts and brings to light the reasons for the slow movement and accumulation of lawsuits that created and still contributing to what is known as "the judicial Backlog".